In a span of a few years, Instagram has evolved from a personal platform for selfies to a highly efficient marketing tool. While it became known for its square photos and fun filters that didn’t have any commercial use, it’s now showing businesses its real potential with analytics, the click-to-buy button, and many other advertising-friendly features. These days, if you want the world to know about your brand, then you need to find a way to tap into Instagram’s 800 million+ users. However, you also have to be aware that becoming successful on social media takes a lot of work. To entice followers and turn them into customers, you need to let go of traditional notions of advertising and think outside the box. 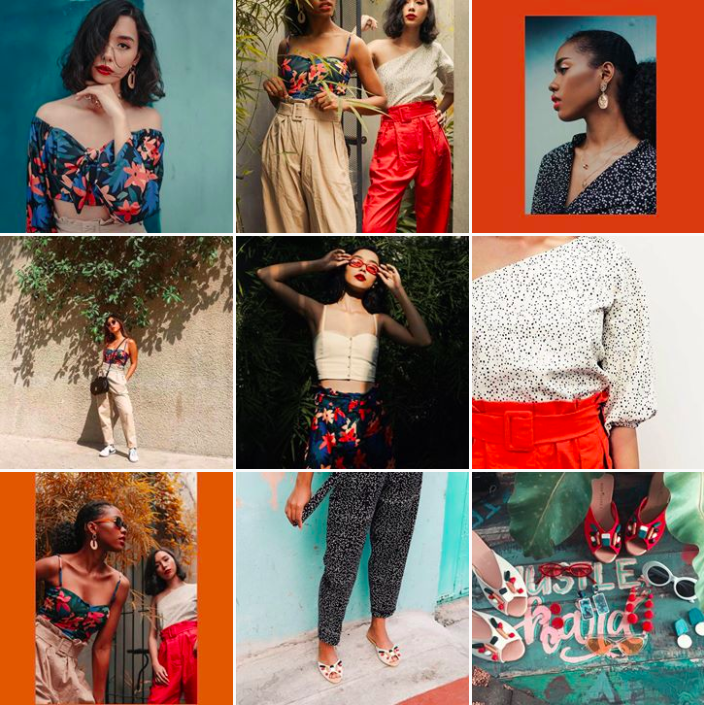 In this article, we’ll look at some of the most successful mainstream and independent companies on Instagram and learn from their strategies, so you too can grow your business online. Before you start revamping your feed, you need to convert your account into a business profile first. Doing so gives you access to a variety of tools including the native analytics app, expanded contact information, and add click-to-buy buttons. To convert your profile, tap the iPhone gear icon (or the three vertical dots in Android phones) and select Switch to Business Profile. When you get to the Connect to Facebook screen, select your Facebook business page. On your profile section, fill out your contact information and you’re done. 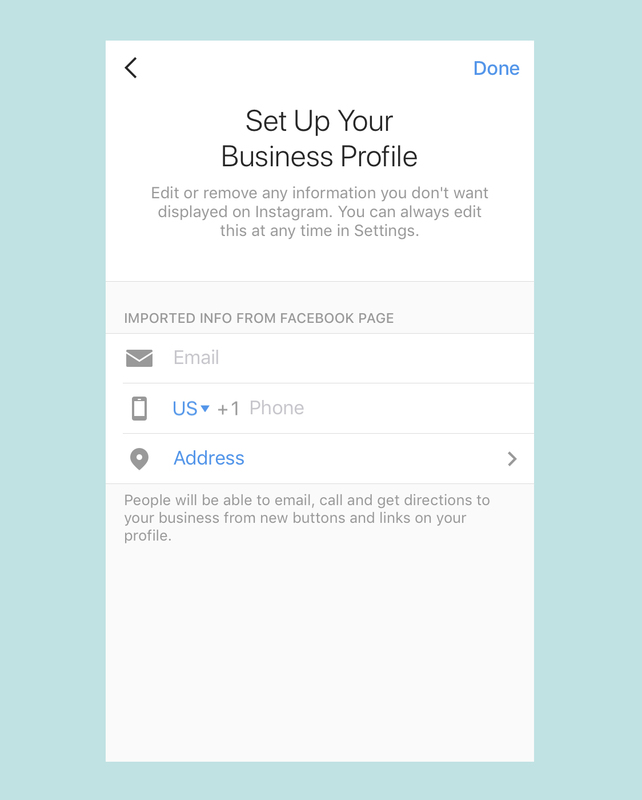 Now that your account is officially a business profile, you can update your bio. You only get to write up to 150 characters in the profile section, so be strategic about what to include. Write one or two sentences that tell people what your business is all about, but just like anything on social media, be creative about it. There are many ways to write your profile description. You can use quotes, a summarized version of your company's mission or values, or even a catchphrase or slogan. Just remember to make it short and reflective of your business. eos Products | @eosproducts. Screenshot by author. 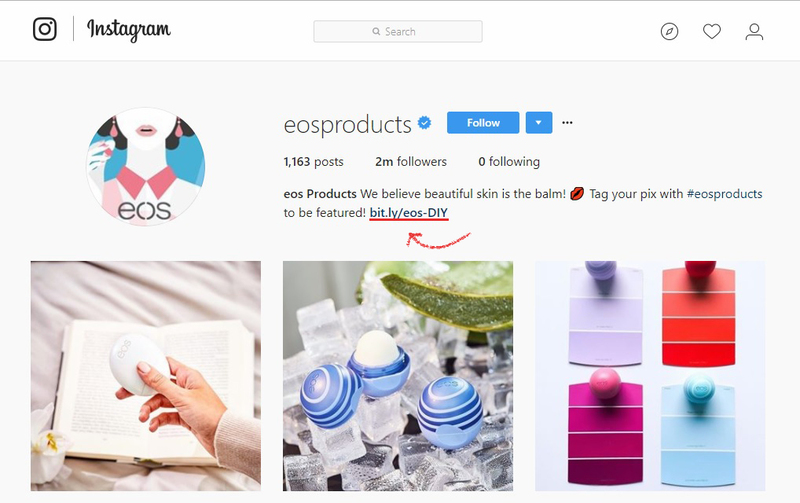 eos Products uses a catchphrase that is easy to remember: “We believe beautiful skin is the balm!” This lets people know that the company sells beauty products in a way that reflects its brand personality but without sounding salesy. The bio also has a website link to invite people to look at eos’ products. See how eos uses bitly URL shortener in place of its actual website URL? This is common practice among companies to help them track the traffic from their Instagram to their website. Every once in a while, this can be replaced with links to videos, promotions, or related online content you want people to see. If you’re wondering why your feed doesn’t get a lot of engagement, take a look at your competitors and see what they’re doing to gain followers. Don't just focus on more established brands but also study small businesses similar to yours for inspiration. Observe how your competitors present themselves online and how they interact with their audience. Look at their content and see what type of posts gets the most engagement. Also, pay attention to aspects of their feed that need improvement. List your down your observations, and use them to leverage your brand. 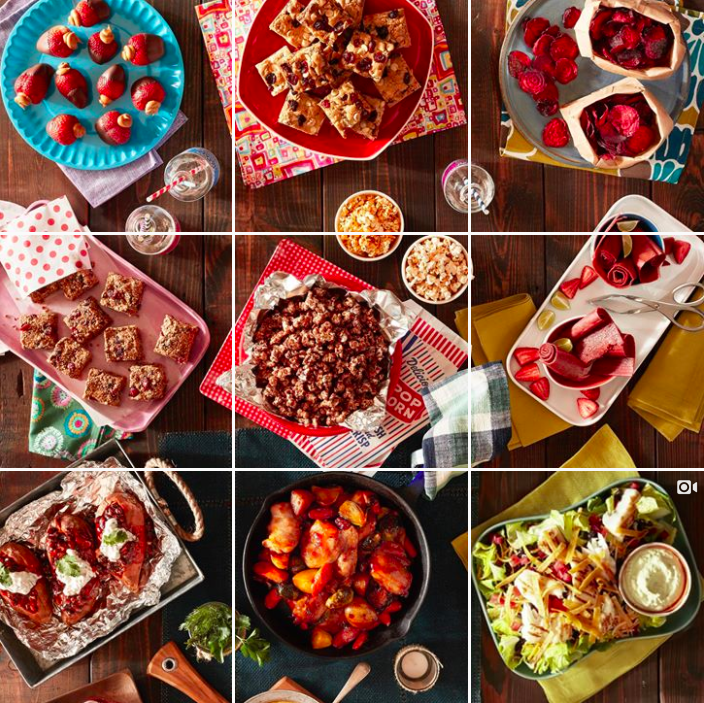 To make your feed look easy on the eyes, coordinate your content just so every square becomes a piece of a beautiful mosaic. Use Instagram management apps such as Preview, Plann, or Planoly to organize your content. They have blank squares where you can drop and rearrange your pictures as you please, helping you craft the final look of your feed. Oway Organics | @owayorganics. Screenshot by author. All of the hair photos appear diagonally, and product images and quotes fill the squares in between. It’s neat, and it breaks the monotony of posting the same type of content over and over again. Reynolds Kitchens | @reynoldskitchens. Screenshot by author. The foods featured in every image is different, but the lighting stays consistent, and every square is connected by a plate, glass, another food, or a placemat. If you look scroll down the entire feed, you’ll realize that it’s made to look like one long banquet table. As you can see, there are many ways to do this, and you ultimately have to rely on your creativity to make everything look visually pleasing. 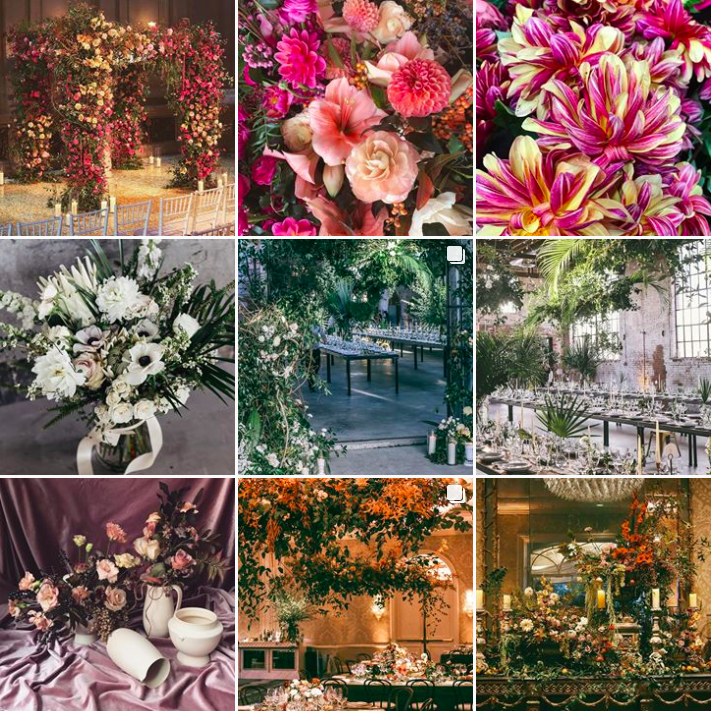 Another method to make your feed more appealing is to stick to a specific color scheme. Before you start shooting, choose a set of color combinations you want in your photos. Not all colors have to be present in every single image; at least one or two will suffice to keep a consistent look. 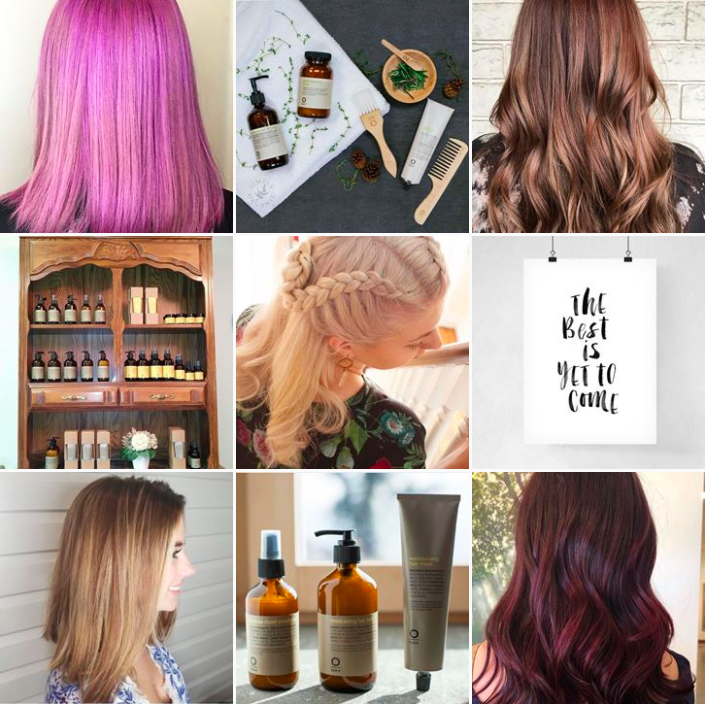 Kera and Co | @keraandco. Screenshot by author. 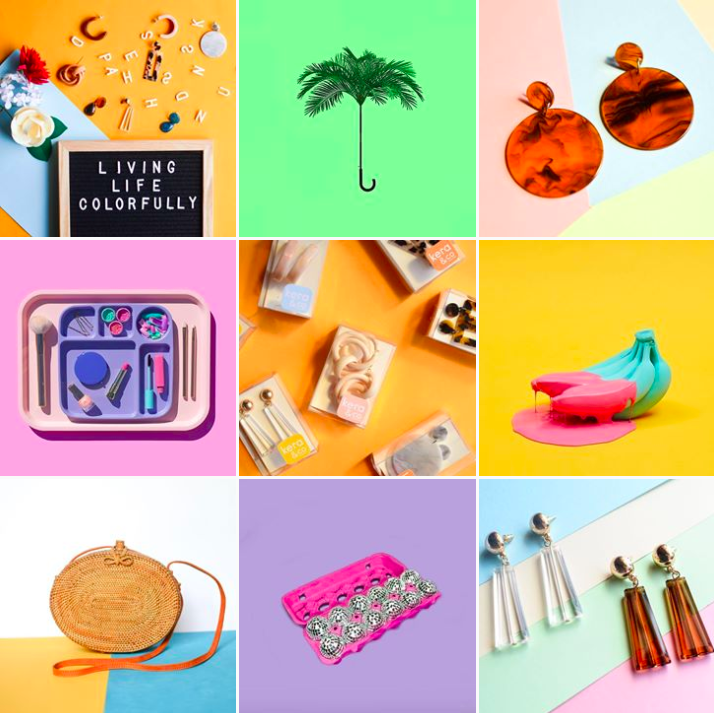 All the photos in the feed utilize blocked, pastel colors, making it not only fun but also consistent. Neon Island Clothing | @neonisland. Screenshot by author. Pay attention to the background whenever you take photos. Choose one that is uncluttered and has the colors that you want and will make your models or products stand out. Remember, when people look at your feed, they’ll initially see small square thumbnails. Give them a reason to click on the individual images; make it easy for people to see the essential part of the picture—your products. Instagram may have changed through the years, but it remains a platform that flaunts lifestyle. Every successful company on social media knows this. That’s why many of them create content geared towards personal experience. 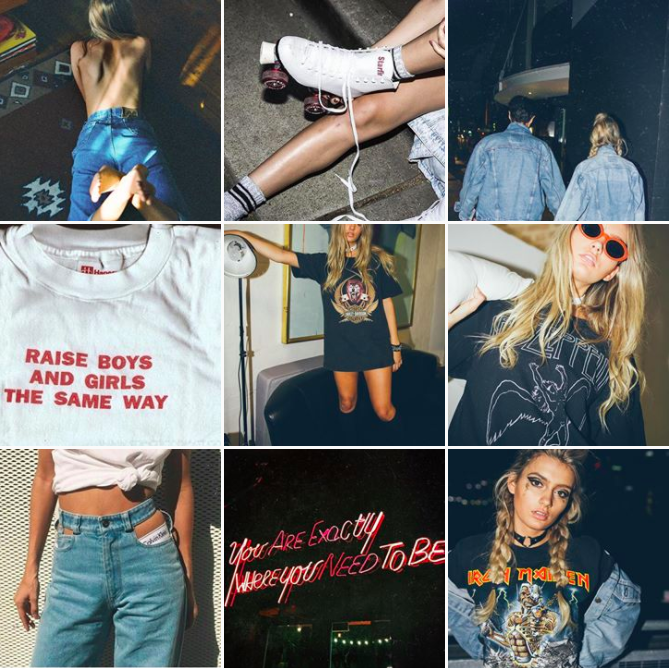 Milly + Wolf Vintage, for instance, staying true to its brand, poses models and uses filters that remind you of the LA rock scene in the 80s—attracting a specific market to the clothes it sells. Milly + Wolf Vintage | @millyandwolfvintage. Screenshot by author. Meanwhile, tokyobike US shows its bikes in various settings, reflecting its versatility and showing how its bikes are fitting for anyone—from children to adults or city-dwellers to beach-goers—and anywhere—from the streets of a small town to the big city. 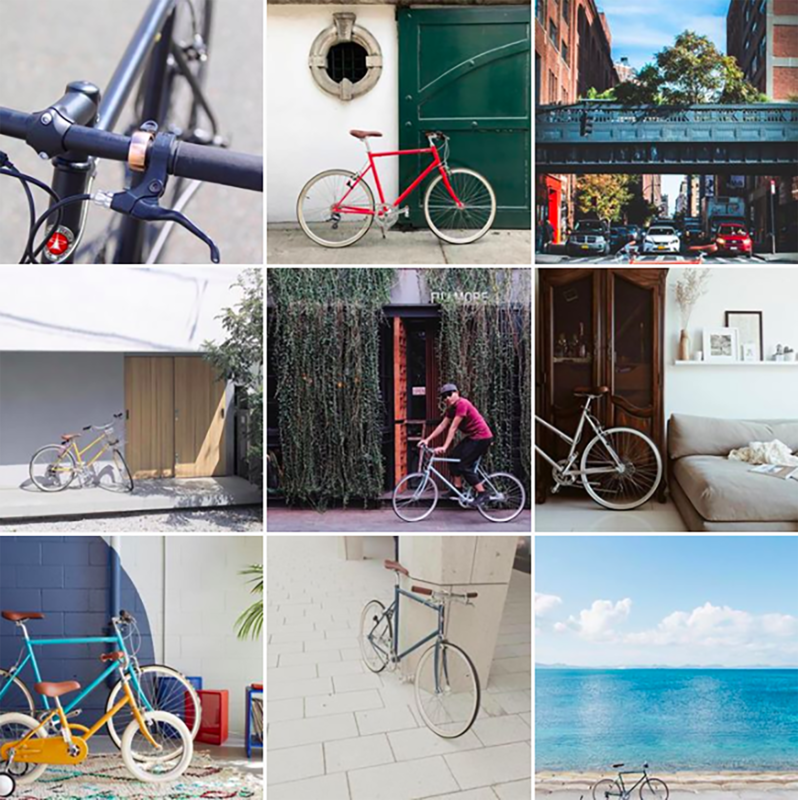 tokyobike (US) | @tokyobike.us. Screenshot by author. Another example of successful lifestyle marketing is independent outdoor company Eagle’s Nest Outfitters. Instead of posting boring product shots with the same background all the time, it shows images of people relishing the great outdoors in its hammocks. 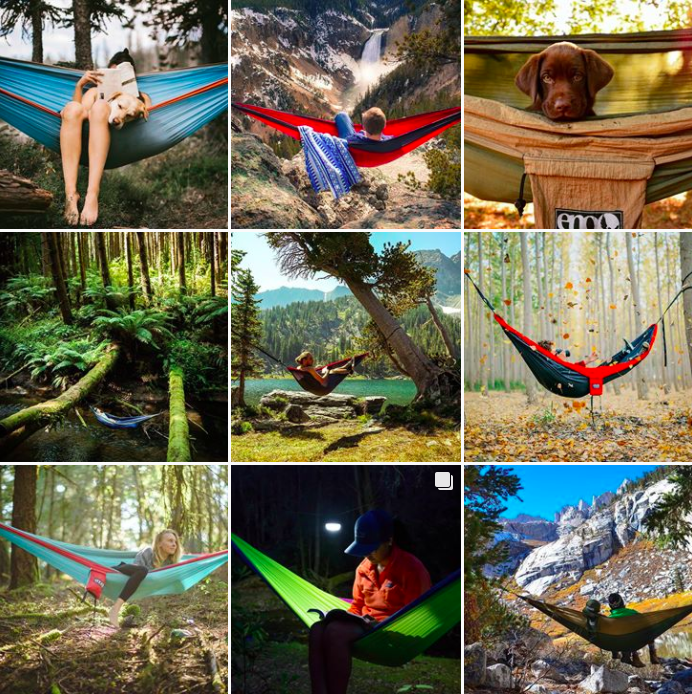 The feed doesn’t scream “buy our products” but just inspires you to go out… and perhaps you buy a hammock in the process. Eagles Nest Outfitters | @enohammoks. Screenshot by author. No matter what you’re selling, don’t make your feed look like a grocery shelf. Instead, provide a vision your followers can aspire to when using your products. Bad photos don’t just affect the reputation of your business online but also prevent people from following you. Remember that Instagram is, first and foremost, a photo-sharing platform. Most people don’t use it to buy products but to look at images. You have to convince them that your posts make it worthy to tap the follow button. When you take photos, make sure that you are in a well-lit area. Even the best high-resolution cameras produce grainy images when there’s not enough light. Also, use autofocus, especially if you are using a camera phone. Tap the subject you want in focus on the screen. It takes a few moments for the lens to adjust, but once everything looks tack sharp, you can proceed to click the shutter. Keep your hands steady to avoid motion blur. Do not forget to apply rules of composition, such as the rule of thirds. Feel free to use your phone or your camera’s gridlines to help you compose properly, placing your subject on one of the intersections in the grid to achieve a balanced image. Finally, when it comes to post-processing, use the same filter for every single image to make your feed look more uniform. When you use your phone to take photos, you can easily choose your preferred dimensions (square, rectangular, etc.). However, it gets a little tricky when you upload images from a regular camera. Since the photographs coming from it are typically larger than the allowable dimensions on Instagram, you’ll need to trim or resize them. Otherwise, they will be automatically cropped, and you could lose important details in the photograph. Once you’ve reduced your content to these dimensions, you should be able to upload them to Instagram without any issues. Stunning photos aren’t going to be enough to make your business grow online. You also need to include hashtags to make discovering your content easier for people. 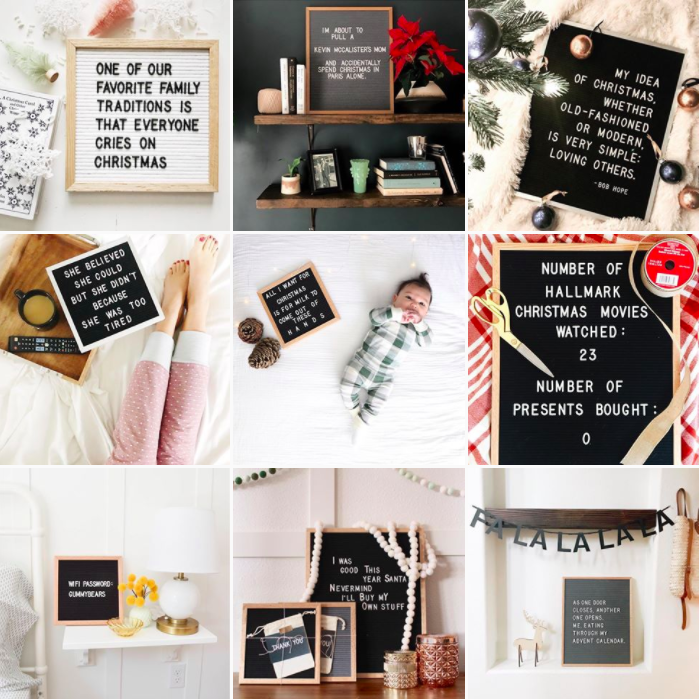 According to a study conducted by Simply Measured in 2014, photos with a single hashtag had 12.6% more engagement than the images without any. prAna | @prana. Screenshot by author. The maximum number of hashtags that Instagram allows is 30, but that doesn’t mean you should fill every post with that many. 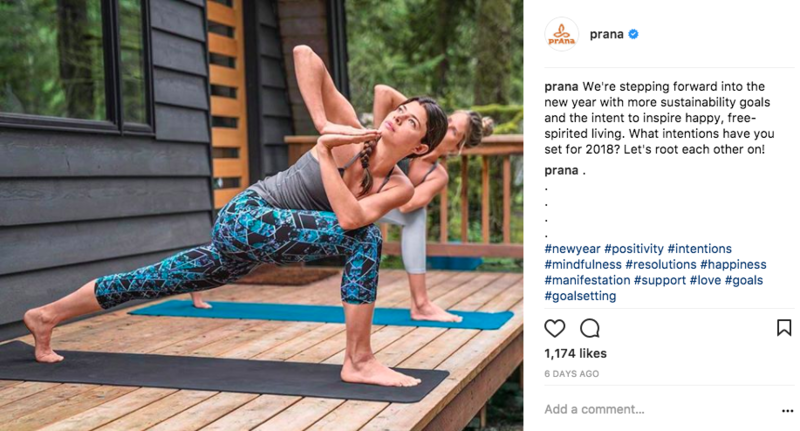 This post from Prana has 11, but it’s clear that it’s enough to increase engagement. For your own feed, look for the most popular hashtags that relate to your business and add the hashtags either in the caption or the comment section. Do your best to make the hashtags less conspicuous because, quite frankly, a list of hashtags is ugly to look at. Additionally, don't forget to include a branded hashtag that’s unique to your business. It could be just your company name or a catchphrase people will remember. Using a branded hashtag will allow you to see the extent of your brand’s reach once it starts gaining momentum. 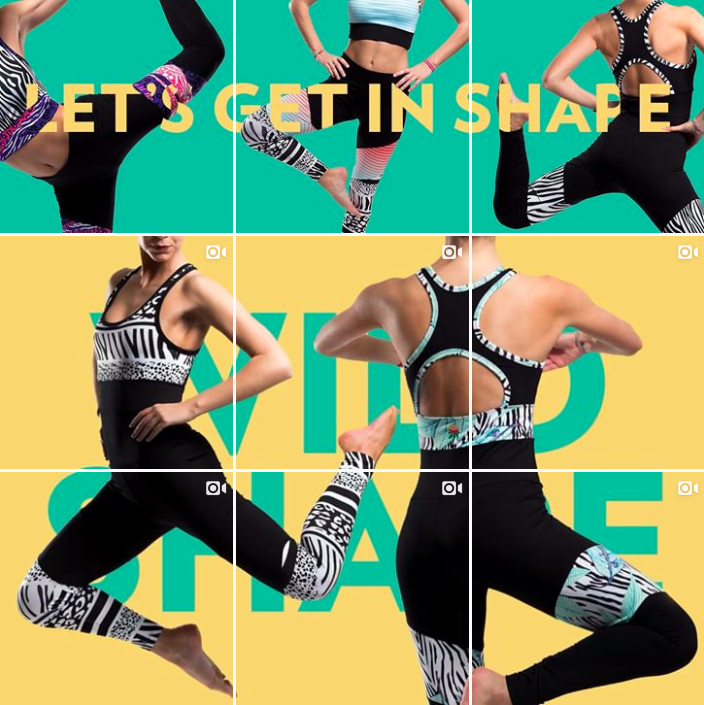 In Prana’s case, the branded hashtag, #prana, is in the bio itself, allowing people to see and use it easily. Note that Instagram uses "shadowban" to filter content and regulate the hashtags, so people can’t use them for wrong purposes. Unfortunately, if you use a banned hashtag, people who aren’t following you won’t see your posts at all, which, in effect, drives your engagement down. You could also get shadowbanned if you use the same set of hashtags over and over, so update and switch up your hashtags every once in a while. Timing is critical when posting on Instagram. Posting when there’s a lot of users online will increase your chances of getting noticed. 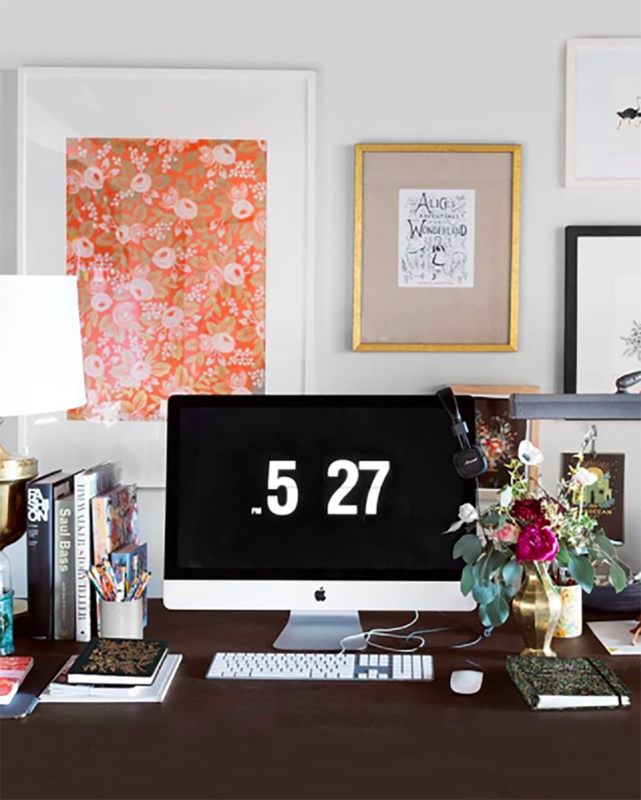 While there is no definite way of knowing the optimal times to post on Instagram, there are some basic guidelines you can follow to improve your chances. Photo by Rifle Paper Co. The peak hours for posting are usually from 11AM-1PM and 7PM-9PM. These schedules make a lot of sense because these are the usual hours when people take their lunch break or go home from work. However, there’s no guarantee that your content will get plenty of likes just because you post consistently during these times. 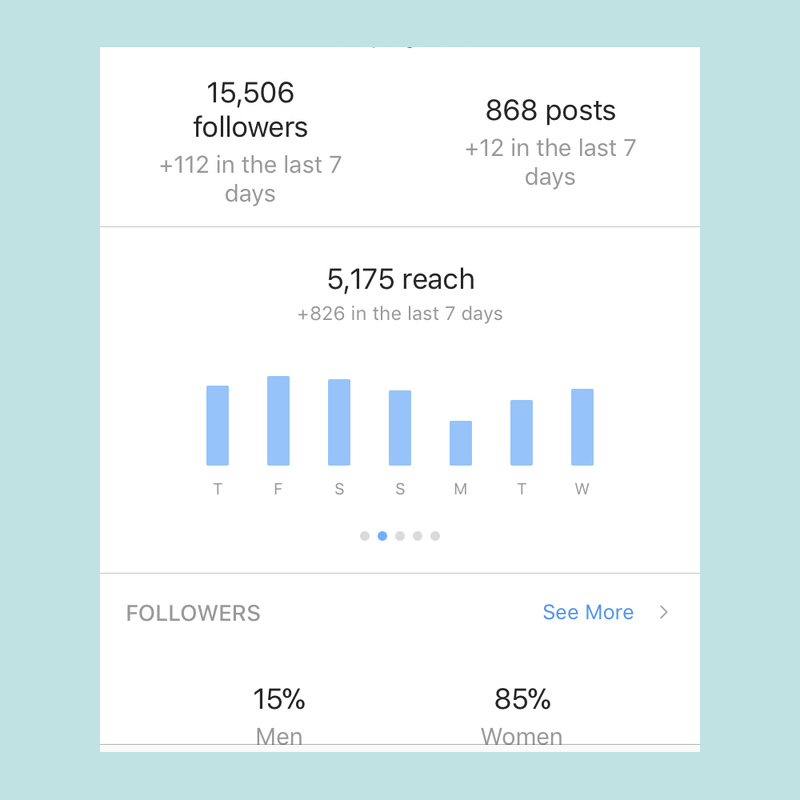 To fine-tune your posting hours, you can look at your Instagram analytics and study the trends on your post engagement. How many impressions do you get in one week? Which day do you get the most engagement? What time? If the trend holds up week after week, then you can tailor your post times to coincide with the peak hours specific to your feed. It would also help if you post two to three times a day to sustain engagement. Posting regularly not only provides your followers new content to enjoy but it also continuously attracts new followers. What’s terrific about Instagram is that, unlike traditional advertising, you can see the results of what you post in real time using its app, Insights. Instagram Insights give you access to impressions (the number of times people see your post), likes, profile views, website clicks, mentions, and reach among many other information, so you can track which types of content do well and which ones don’t. It even shows data regarding your audience such as gender, age, top locations, as well as the number of followers you get per hour and per day. More importantly, this app allows you to check how much of your engagement transfers to actual sales. Use the data from Insights to improve your content and increase your engagement. Tweak your content to make sure you hit your target audience. 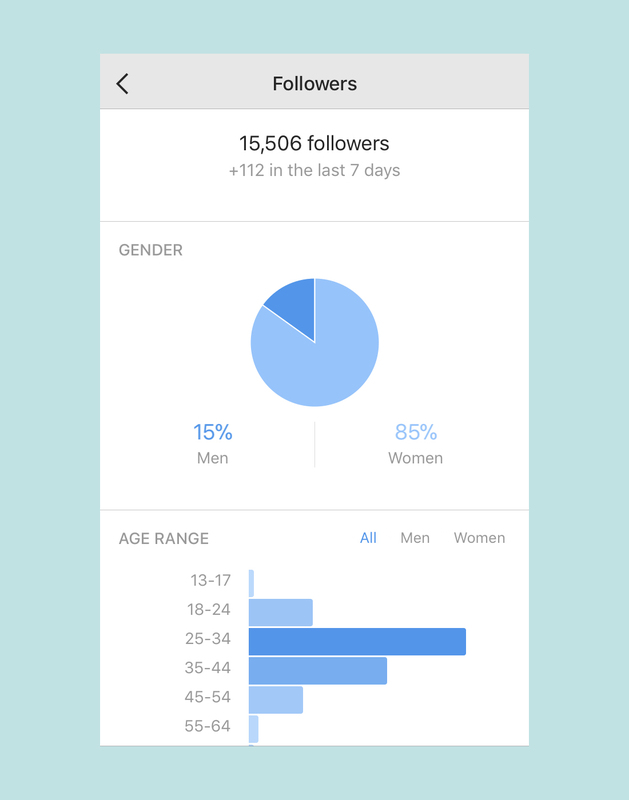 For instance, if your target audience is male from 18 to 24, but the data shows you that there are more females from 25 to 34 years old that visit your Instagram, you might want to start changing the type of content you post until the number of your target audience starts going up. 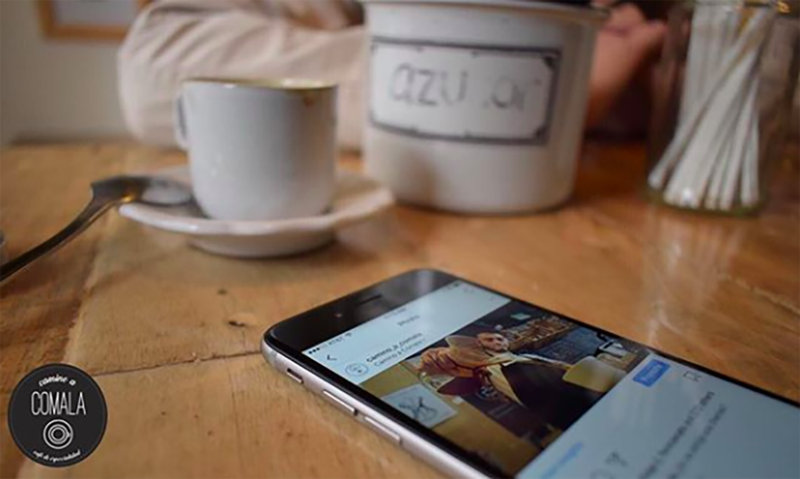 Instagram may be a great marketing tool for businesses nowadays, but it’s still a platform that prioritizes personal interaction. If you want your business to succeed, you need to develop a relationship with your followers. 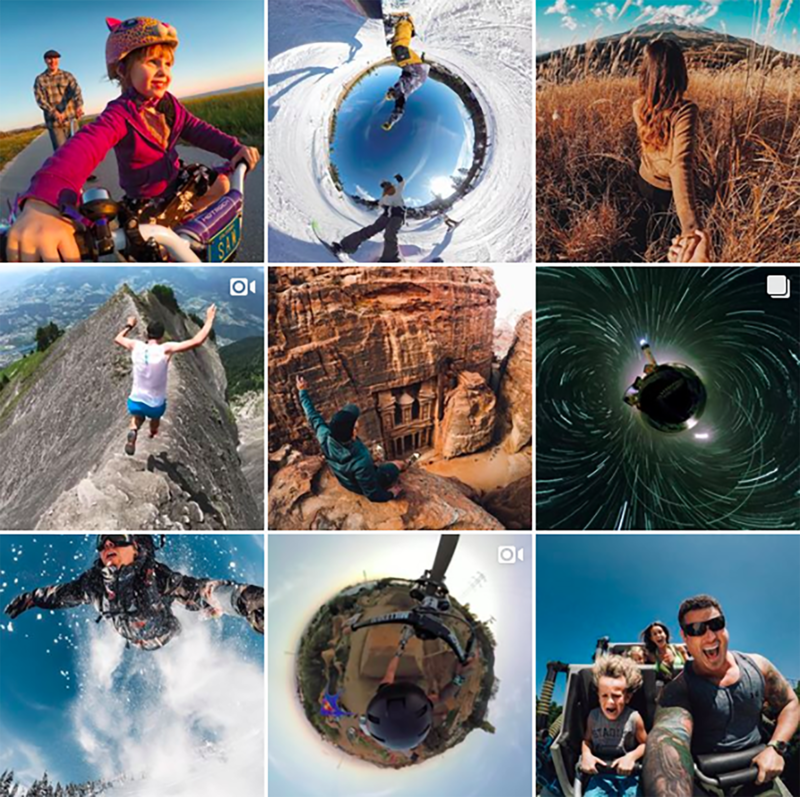 Let’s look at the action camera company, GoPro’s Instagram account to see how they use user-generated content to their advantage. GoPro | @gopro. Screenshot by author. Since the company’s inception, it has focused on showcasing the individual experience. What’s behind the brand’s success on Instagram is it mostly reposts exciting content created by real people who use their cameras. Letterfolk | @letterfolk. Screenshot by author. User-generated posts function as indirect advertising. When other people see beautiful footage from actual users, they're more inclined to buy the company’s product. You can also do this to give your business more exposure. When you start seeing people posting about your products and services, make them feel special by re-posting their content. As GoPro and Letterfolk show, it’s nice to show the world that real consumers are actually using your product because it makes other people trust your brand more. When it comes to comments, always do your best to respond. Make your followers feel like they’re your friends, not just potential buyers. Interacting with them not only develops trust between you and other people, but it also gives you an insight into who they are, what they want, and why they like your brand. Let’s face it: your posts may share lots of similarities with your competitors’, so how do you make your business stand out? Experiment with different media. Be bold and play around with GIF animations and viral videos. Capture people’s imaginations and give them something they’ll remember. Take Play-Doh’s Instagram for example. Play-Doh often posts animations that tell stories and quick instruction videos that teach people how to create with its product. The videos get a lot of engagement because of their ability to show followers how to be creative in an equally creative way. 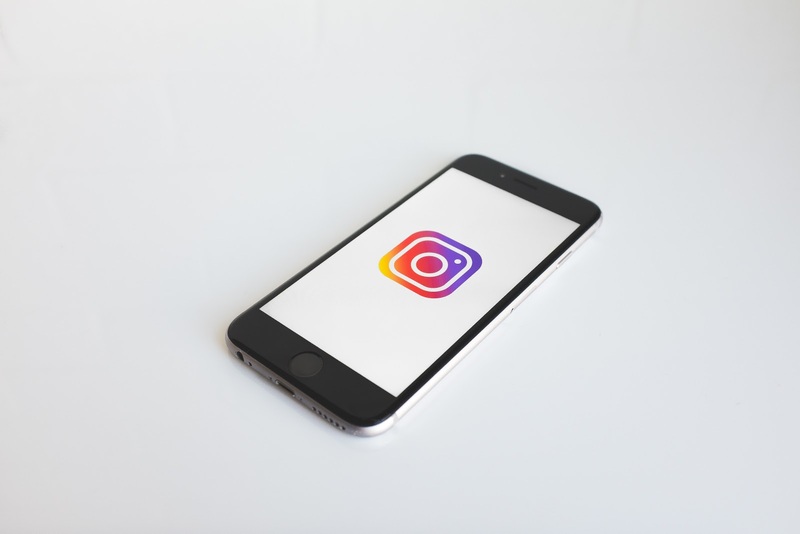 Although a relatively new feature, Instagram Stories has also proven to be a highly effective tool for businesses as well. Use it to post behind-the-scenes photos or videos of your business, or even use it for promotions, sales, and events. Since it only lasts 24 hours, Stories allow you to post content that would otherwise not make it to your feed. Since it’s temporary, it also gives you the chance to try creative concepts that you want to integrate into your feed. There are no rulebooks about social media because the rules and trends always change. While it can be scary to learn as you go, it also gives you the opportunity to play around with different ideas. So get to it—conquer Instagram with creativity and determination and watch your business take off.